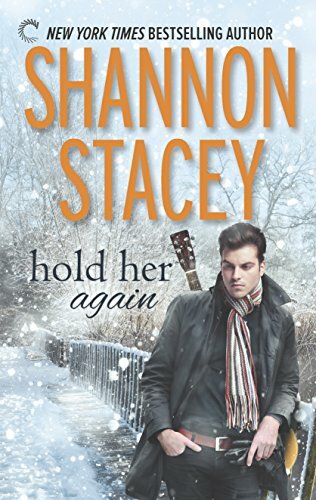 Shannon Stacey’s Hold Her Again merges two of my favorite things, romance and music, and then she incorporates second chance romance with a little holiday spirit thrown in against a backdrop of a small town and good people to make this reader’s almost-ultimate comfort novella. Jace broke Ava’s heart when he chose country music stardom over her. Then he wrote a chart-topping song about making a wrong choice, but he still didn’t go back for her. Years later, Jace returns homes for his father’s funeral and has the opportunity to make things right, if he can. I felt the characters rang true although I would have thought that Jace might have tried at some point to move on romantically considering the number of years that had passed. I appreciated that Ava did although it didn’t work out because her ex-husband knew she was still in love with Jace. In plots like this, authors frequently give in to having their characters act out a lot of angst and/or game-playing as a form of retribution and I was very, very happy to see that was not the case here. Both characters, although passionate about each other, still dealt with the situation rationally. Yay! This novella is short and sweet, just perfect for a couple of hours with a cup of tea and maybe a brownie. It’s a feel-good story to give you the warm fuzzies.